New research results showing efficacy of on-line WordsWorth Literacy Programme now posted on site: www.wordsworthlearning.com Log onto home page and click “Learn More” button for the full article. It stresses the importance of collaborative work between home and school when remediating literacy difficulties. 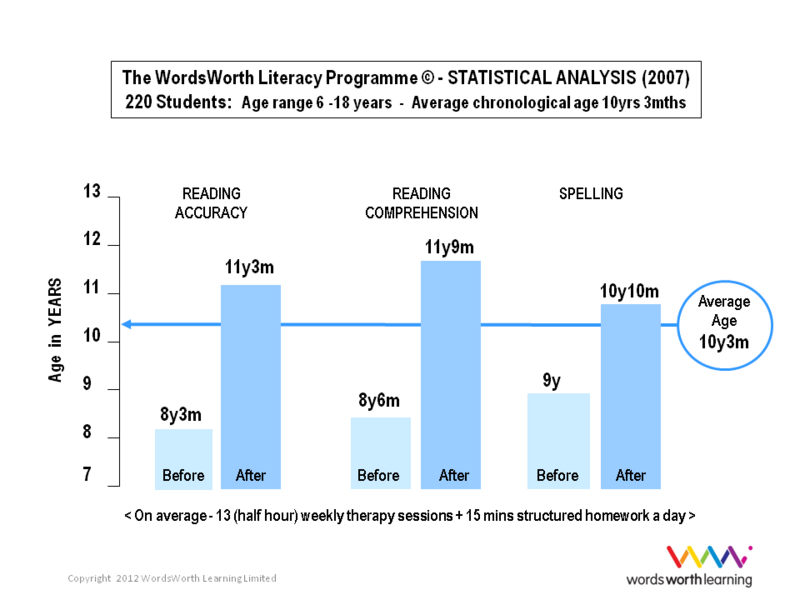 The attached chart shows how successful “The WordsWorth Literacy Programme” has been in the past. It contains proven results analysed by a professional statistician. The full analysis is available on my website.The new web interactive version of the programme has even better content and exercises.